This is a re-make of my very, very old post. I tried to do my best and improve it, add even more from my experience, for you to benefit. 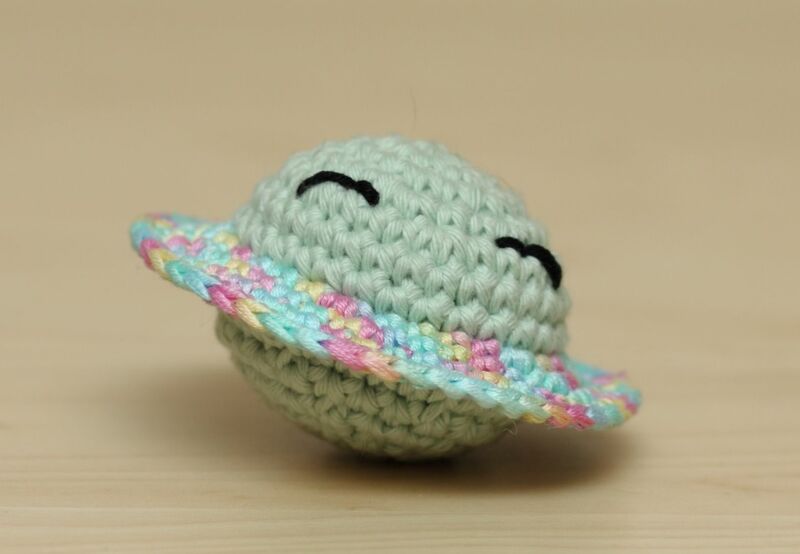 If you are starting your adventure with crocheting amigurumi, this post is just for you! Contrary to what you may think, choosing right yarn is not a simple task. Many depends on specific project and the effect you want to get. 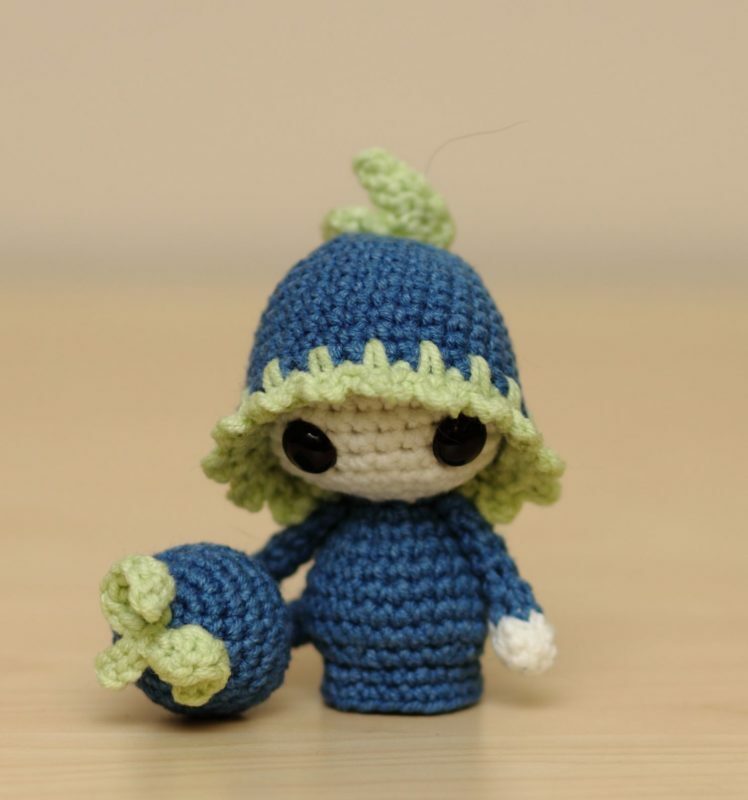 Consider for who you are crocheting a toy, what your skills and preferences are, and you’ll probably get lost. Even more so when you have little experience with yarns. When I was a total newbie, I thought it was so convenient to visit the nearest yarnstore and grab the very first skein I put my hands on. How wrong I was! This left me with many projects I didn’t like and a lot of skeins I didn’t want. Oh, and each picture can be viewed in full size just by clicking on it! Probably the most commonly used yarns. Cheapest, too. Come in width variety and many beautiful colours. Acrylic yarns do not sensitize, thus are perfect for kids and people with allergies. Avaliable in almost every thickness, often first choice for crocheters. Its softness promises toys pleasant in touch and gaps between stitches becoming invisible. A characteristic feature, acrylic yarns tend to pile easily, which can be a deal breaker to some. Take a closer look – do you see little hair storm? Depending on the project, this effect might be desirable! Cotton yarns can be mercerized or unmercerized. Mercerized ones are in general shinier, more durable and a bit stiffer, as they are twisted more tightly. Combed cotton offers more natural look and is softer in touch. Below planet is made with unmercerized cotton, while the ring with mercerized. I think difference between the two is well visible. Proportions may differ, but usually it’s around fifty-fifty. For me, it is perfect type of yarn for amigurumi! It combines features of both fibers, they complement each other. Acrylic makes yarn soft and easy to hide gaps. 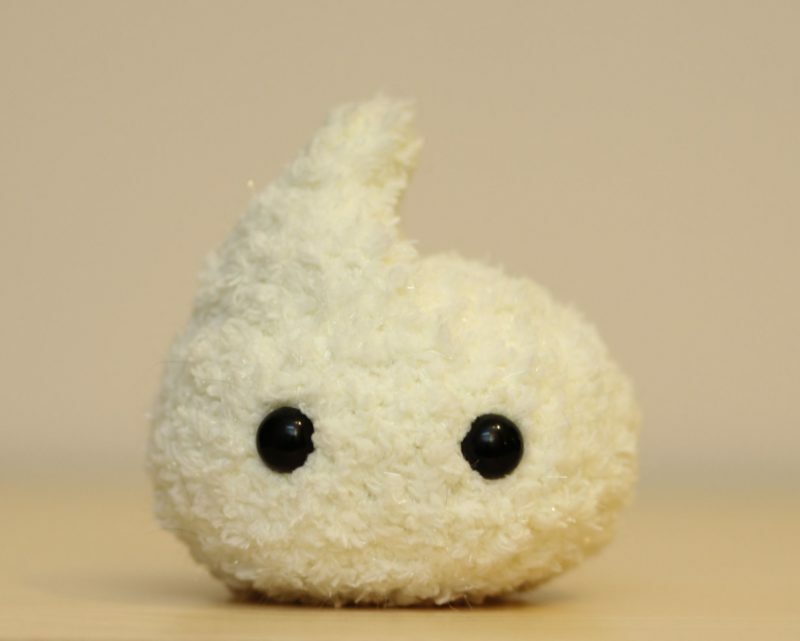 Finished toy feels almost like a plush toy. Cotton eliminates pilling – there is a hair storm, but barely visible. Yarn loses cotton’s glow, yet becomes more durable than acrylic one. For you to see the difference in textures, I post a picture of a planet with a moon. Planet is made with mercerized cotton, while moon with acrylic and cotton mix. 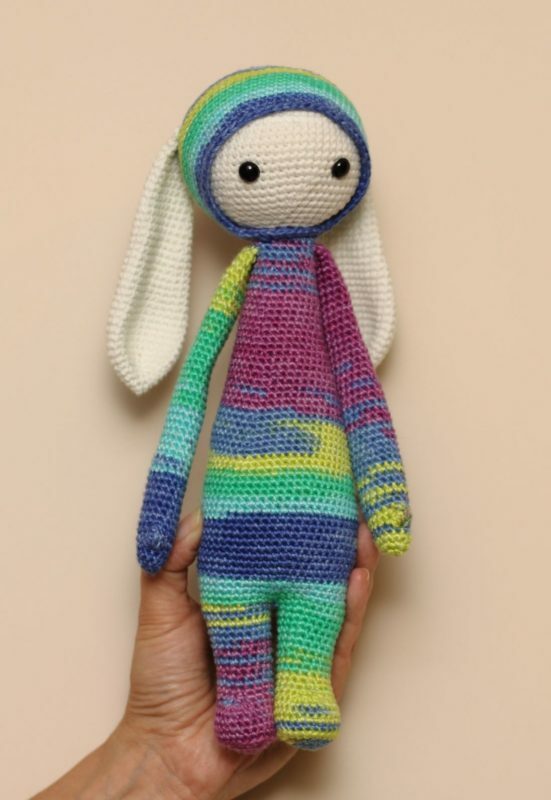 You should consider bamboo yarn if you want to crochet for small children or people with allergies. Bamboo is known for its antibacterial properties, therefore it is very convenient. It grows really fast, too, and pesticides are used rarely during cultivation. Yarn made with bamboo is sleek and glowy (even more than cotton yarns). It tends to pill after a while, and – when crocheted tight – can be a bit harsh. Bamboo yarns are also refreshing, being few degrees cooler than ambient temperature. Beware of washing things made with it though, as it tends to stretch more than other types of yarn and can loose its form if crocheted loosely. There are so many wools out there: sheepwool, mohair, alpaca, cashmere, merino, angora – just to start with! Each one, of course, have its own unique look and different characteristics. Every one deserves separate description, I think. Woolen yarns are also the most expensive you will find. Perhaps silk and some novelty can beat it, but still. Wool is great for many reasons: it is soft, chunky and comes in all types of thickness you may want. 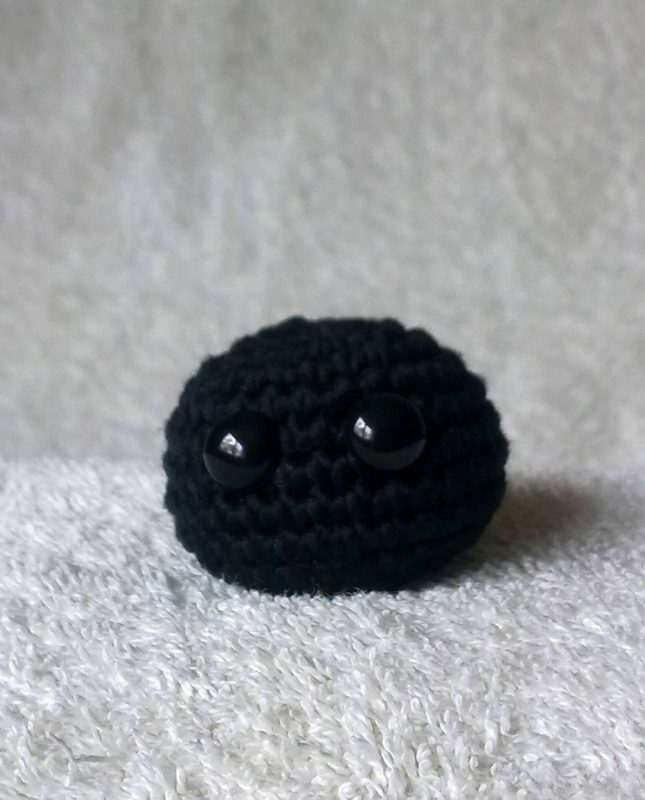 Depending on its type, you can easily create unusuall look and style your amigurumi (more on this in fancy yarn section). The downside however is allergy that one may have, especially if you create a toy instead of a collectible piece. Ah, and washing it can be tricky, as wool tends to stretch while wet and usually cannot be washed in a washing machine. I love using leftovers for my amigurumi projects and play with texture! It makes my projects unique and fancy, compared to my usual yarns. Fancy and creative yarns of all types. They are real game changers! Sometimes it’s enough to use it in place of usual yarn and you will get so different amigurumi… This can be a yarn with multiple colours (longer parts or just enough to crochet only one stitch before colour changes), additional strand of different fiber or in different colour, with beads, pompons or sequins, with multiple threads standing out that will make toy look furry and so on. Working with such yarns requires more advanced skills. Well, multicolour yarn is the same as single coloure, but if you decide to work with few yarns and change colours, it obviously becomes more difficult. 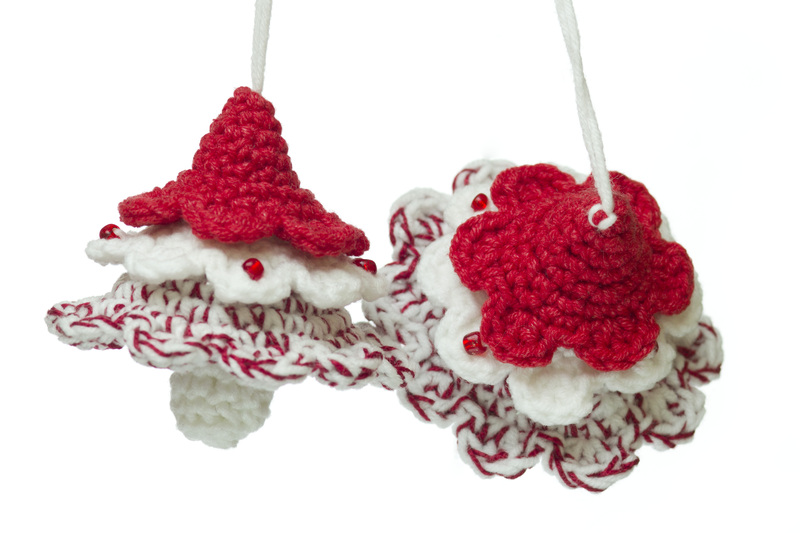 Yarn with two or more separate strands can tangle and hook up, while additional elements like beads can make crocheting a bit more inconvenient. When you work with furry yarn, you are not able to see stitches, so you kind of need to learn and feel them under your fingers. It does not mean it’s impossible, and final effect is worth it! Keep in mind that some of this yarns are not suitable for babies and animals. It may contain rough fabric or small pieces that can be swallowed. 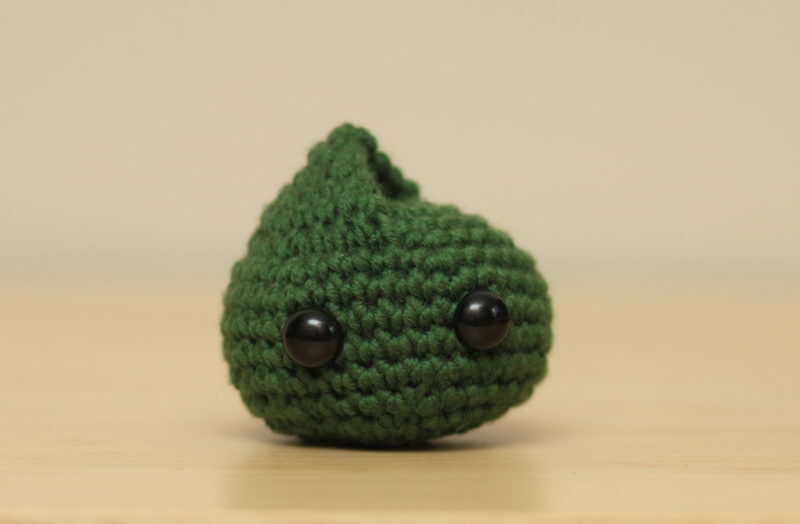 The rule is simple: bigger thickness means bigger amigurumi. Using the very same pattern you can end up with few centimeters’ toy and another enormous one. 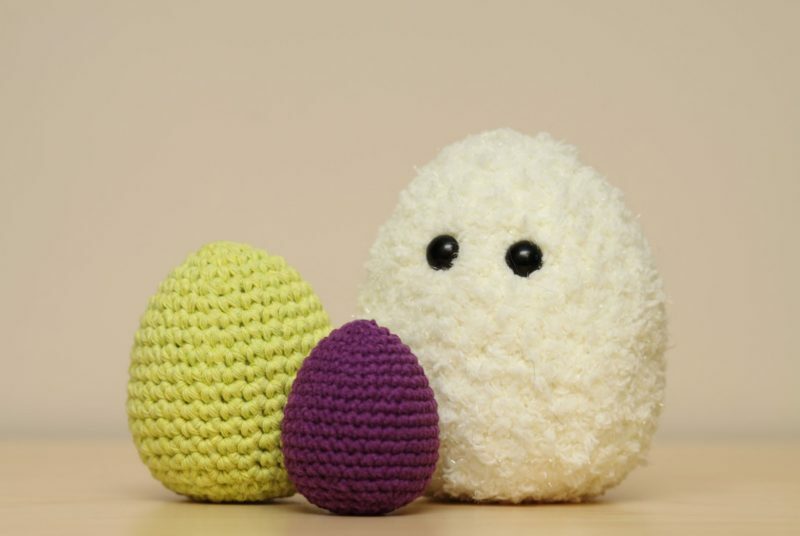 Look at below eggs – all are crocheted from same pattern, the only difference is in yarn thickness: white one is super bulky, green is aran, and purple – sport. Black eyes have 12 milimeters (for your reference). Some patterns tell you how much yarn you’re going to need by providing yardage (how much of yarn in lenght is needed to complete project). But remember that when changing yarn for thicker or thinner, yardage also changes. Unfortunately, there is no easy tell how much of replacement yarn you will need, in contrary to crocheting or knitting clothes (at least if you don’t plan to adjust pattern, which is rather tedious work that requires lots of calculations). Yardage does not change drastically if difference in thickness is relatively small though. I’d love to hear from you, what is your experience and advice on picking this perfect fiber!